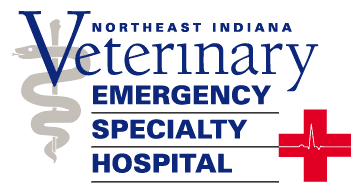 The mission of the Northeast Indiana Veterinary Emergency & Specialty Hospital (NIVES) is to provide the highest quality emergency and specialty medicine for small animals. We are committed to serving the veterinarians and pet owners of the tri-state region as a referral center for competent, compassionate and timely veterinary care. Our hospital features a team of board certified and residency-trained specialists, and 24-hour urgent care emergency services. A full technical support staff is available at all times. NIVES is proud to be fully accredited with the American Animal Hospital Association and is the only certified Veterinary Critical Care Facility in Indiana. Additionally, our doctors are here to provide expert opinions to you and your veterinarian when needed. We share the common goal of providing the best medical care for your pet and believe that collaboration with your primary care veterinarian can help achieve that goal.